Campeggio Grein si trova a Grein, Alta Austria, è situato fiume/torrente. Questo campeggio dispone di piazzole delimitate, sia ombreggiate che, senza ombra e piazzole poco ombreggiate. È possibile affittare roulotte e chalet. Il campeggio dispone di un parco giochi. Per gli sportivi, il campeggio prevede diversi percorsi in bicicletta. Al campeggio Camping Grein è possibile praticare sci d'acqua. Ogni anno un ispettore visita il Campeggio Grein, controllando oltre 200 tra attrezzature e altri punti di interesse del campeggio. L'ispettore è un dipendente ACSI e non lavora per il campeggio. From my last 20 years of traveling this was definitely the worst camping place in Germany and Austria. Even though I do admit it is located on nice and interesting place. 1) Very unfriendly and slow staff at the reception - the whole time I spent on reception was about 40 minutes! Horrible. 2) They wanted to charge us for 3 months old baby. Never experienced ever elsewhere before. 3) Not very clean toilets. 4) No soap at bathrooms. 5) No toilet paper at toilets. 6) Most expensive camping in our 7 days DonauRadWeg trip. 7) Not very safe place. Somebody visited our neighbor when they went for dinner and moved their camper wagon from stabilized position. The lights on our bikes were turned on during our absence. Just some youngsters having fun, but it didn't make us feel very safe there. Looks a bit ramshackle and shanty-town ish, but pleasant flat pitches, wifi 5e a day, manager blows hot and cold,said he did not speak English but evidently did when I attempted to speak German. Wasn't altogether amenable about giving me change for the washing machine.... There is a change machine but I had already tried that, it was empty The younger man however spoke English and was very helpful. Showers, toilets, ok, reasonably clean and modern ladies, but men's showers have curtains not proper cubicles, no soap for 2 days in gents washing area soap dispenser, dogs appear to be allowed to roam. well positioned site for stopover, could not recycle tins owing to amount of flies coming from the bin. Site could be tidier and better maintained but not awful, acsi discount season, m/home, 2 adults, and elec..... Plus wifi. The site is ideally placed for visiting Grein or cycling along the Danube Cycle Path and the facilities have been restored since severe flooding in June 2013. However, the riverside pitches are still muddy and became flooded and unusable after a day of rain. We moved place 3 times! Three of the four men's showers have no curtain or door, and face each other in full view. 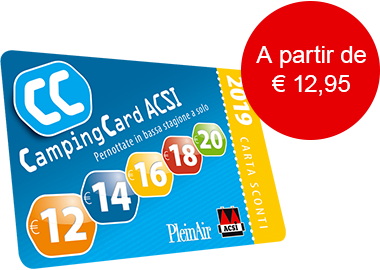 The ACSI Card price of 14 euros became 20 euros with 'taxes'. Good WiFi for 3 euros a day. A simple meal from the camp restaurant (burgers and fries) took 30 minutes to arrive - and the fries were not hot or freshly cooked. Surprising for such a popular place. Volete prenotare il Campeggio Grein o oppure saperne di più? Potete farlo usando i seguenti dati. A1 Linz-Wien, uscita 123 Amstetten. Quindi seguire i cartelli per Grein. Il camping è segnalato e si trova a Grein lungo la B3. ACSI Eurocampings invia la tua richiesta di informazioni al "Campeggio Grein".